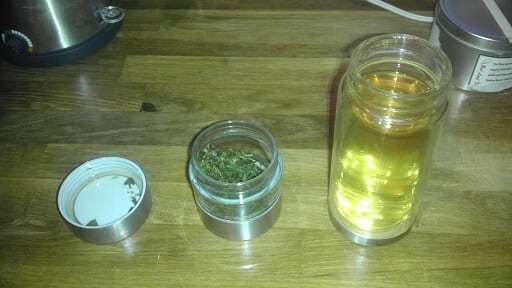 In November of 2012, I accidentally “created” a smoked Darjeeling. I say “accidentally” and put arbitrary air-quotes over “created” because . . . that’s only kinda what happened. One fateful day, I put a sample of Risheehat first flush—enclosed in a do-it-yourself tea bag—into a tin of loose Lapsang Souchong. Totally not thinking of the consequences. A week or so later, I broke out the sample, brewed it up, and marveled at the light-but-lingering “campfire embers” taste. That made me wonder if and when someone in Darjeeling proper would (or could) ever smoke a Darjeeling like that. Several years later, in the summer of 2016, I saw this. 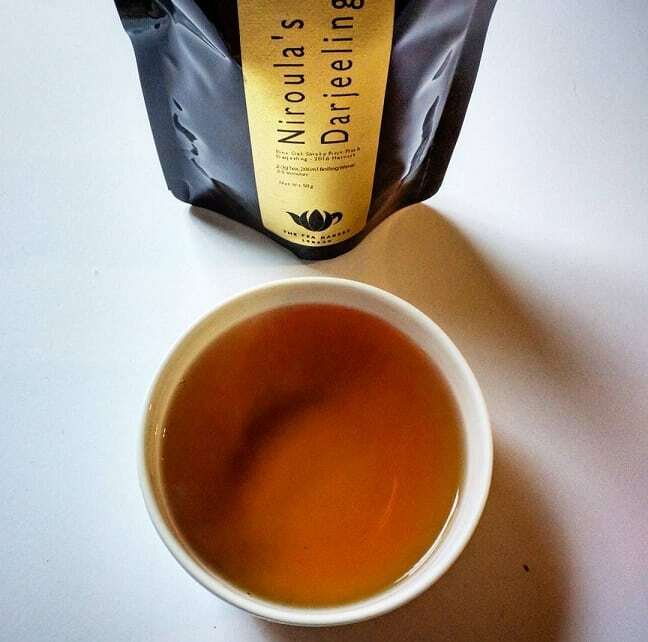 Tony Gebely from World of Tea posted a picture of a first flush Darjeeling . . . that had been smoked over oak. Image owned by Tony Gebely. My jaw dropped. Apparently, it hailed from an “estate” called Niroula. It’s been a weird and busy month. In the span of three weeks, I had driver’s license difficulties, car troubles, multiple projects, and some minor financial headaches. Yet all of these things didn’t affect my mood any. Reason being? My Mum had my back. For a couple of days, I was without a car. Mine was overdue for a visit to my mechanic due to a service engine light. And the only available chauffeur…was Mum. She even picked me up from a work party. One that got a little silly. Yes, that is me trying to pretend I have large breasts. No, I will not say how much alcohol was involved. After two weeks of her assistance, I felt it was high time to compensate her for her troubles. Luckily, we both had a similar addiction. That being tea, of course. Because of me, she had developed a love for Smith Teamaker’s brick-‘n-mortar shop. Lord Bergamot was her poison of choice, while I ventured for whatever was new. This trip – I will confess – wasn’t entirely selfless. I had intended to jaunt to the shop to try Smith’s new Smoked Chai. The process used to create the thing was manliness personified. Sarsaparilla was cold-soaked in water, bourbon and vanilla. Then the concoction was blended with dry hickory chips, which were (naturally) lit on fire! The smoke was then channeled through a bamboo tray full of whole leaf, tippy Assam. And once all was said, done and burnt, the fusion was rolled in spices. The resulting brew tasted like receiving a hug from a ginger beer-drunk bear that’d emerged from a chimney. Smoke touched off the flavor, followed by a warm ginger-y blanket of awesome, and trailed off like a smooth root beer. I remember draining my two-person pot in less than ten minutes. After a two-hour stint, I cashed us out, and then treated Mum to lunch. She acquiesced to my last request, which was to follow me down to my mechanic – Dimitri’s Auto Service in Milwaukie, OR. It was a heckuva request. That Monday, as we waited for my car’s eventual return to mobility, we grabbed breakfast at an eatery dubbed, “The Bomber Restaurant”. There was an actual B-17G bomber in front of it. My testosterone wept with glee. The breakfast was pretty darn good, too. Let your mother take care of you, even when you’re an adult, and always take care of her in return. And most importantly…real men take their mothers to tea.